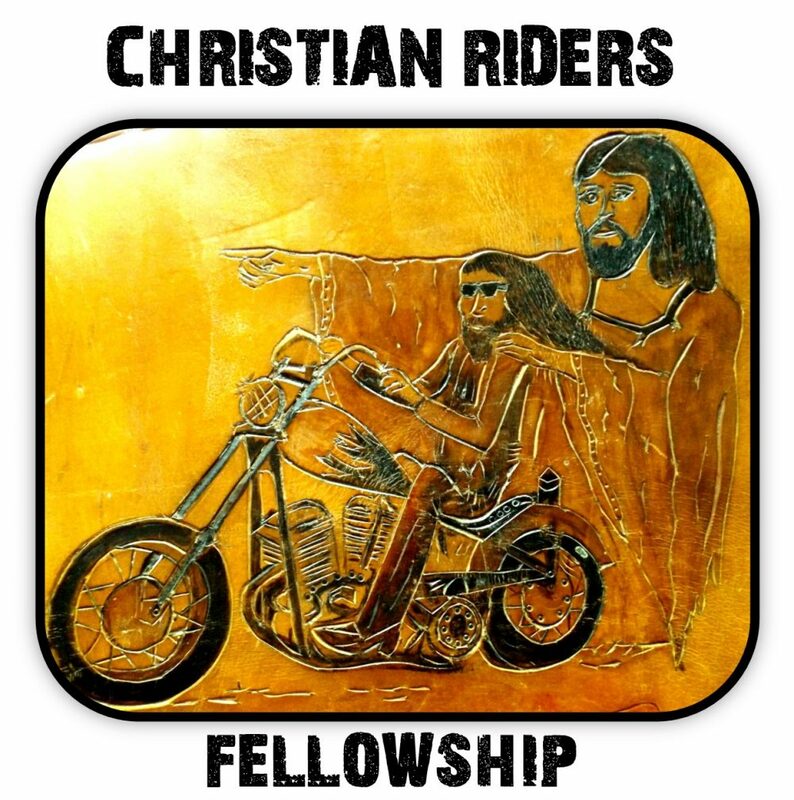 Christian Riders Fellowship | The place for those who share the love of riding and the same faith. 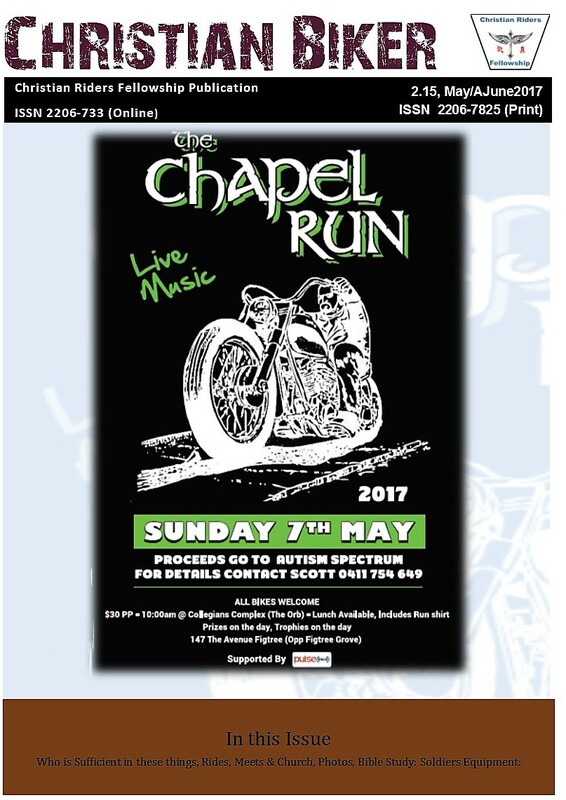 The place for those who share the love of riding and the same faith. The word ‘Christ’ written in Greek, is positioned central and at the head of the cross indicating that it is Christ who is the head of the church and the center of our attention in all that we do. The church is Gods before it is a location or a particular demographic group. The church is for the believer to aid in spiritual growth towards spiritual maturity. The leadership discusses variances in doctrine, stripping back those things that are of human origin, that are not agreed on until unity is reached or nothing but the Word of God remains. From the place of common unity, the doctrine is then built up under the guidance and study of the Word of God. 1Co 1:22-24 For Jews demand signs and Greeks seek wisdom, but we preach Christ crucified, a stumbling block to Jews and folly to Gentiles, but to those who are called, both Jews and Greeks, Christ the power of God and the wisdom of God. The symbol on the right is one of the Japanese characters for ‘truth’. We believe that the primary source for the gaining of wisdom is the Bible. The balanced combination of Spirit and Truth is what we refer to as worship (Joh 4:23-24), which is expressed through singing, preaching and teaching that which is aligned to the Word of God, the Bible. The cross, a symbol of death by crucifixion, and the outstretched wings, a symbol of resurrection, indicate that we preach and teach Christ crucified and all the associated doctrines. 1Co 2:4-7 and my speech and my message were not in plausible words of wisdom, but in demonstration of the Spirit and of power, that your faith might not rest in the wisdom of men but in the power of God. Yet among the mature we do impart wisdom, although it is not a wisdom of this age or of the rulers of this age, who are doomed to pass away. But we impart a secret and hidden wisdom of God, which God decreed before the ages for our glory. The ‘babe in Christ’ believer’s faith rests in the ‘power of God’ (preaching and worship service). The ‘babe in Christ’ believer is encouraged to join the teaching service as soon as possible. The mature believer is encouraged to join the worship and preaching service as soon as possible. Church (teaching and preaching) is primarily for the believer. This in no way excludes the unbeliever from either service, but spiritual advancement, growth, or formation is not expected until the person believes on the Lord Jesus Christ. The unbeliever is in a state of ‘spiritual brain death’ and to gain any understanding of the things of the spirit, they must be born again, that is to say, they experience a spiritual birth. Opportunity will be given at every meeting, before every meeting, and after every meeting for the unbeliever to believe on the Lord Jesus Christ and thereby be born again. Members of other churches seeking addition teaching or fellowship with people of a common interest. Every attempt is made to schedule our meetings at other times besides the traditional Sunday morning services. Those who have not been able to find a spiritual home.